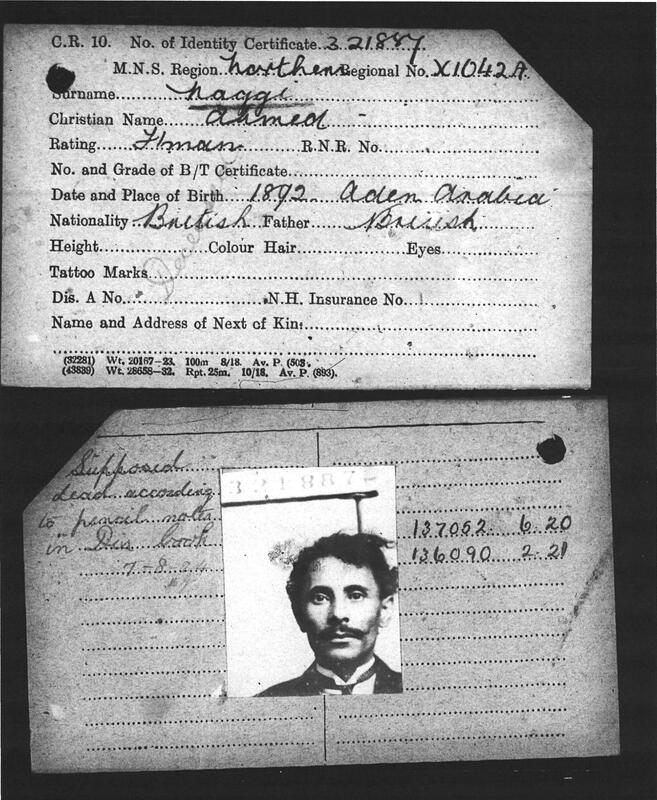 We were lucky enough to gain access to Ahmed Naggi’s merchant seamen identity card from the register of seamen set up after the war. Being able to gain a visual of how Naggi looked makes a tremendous difference in terms of connecting and relating to him. 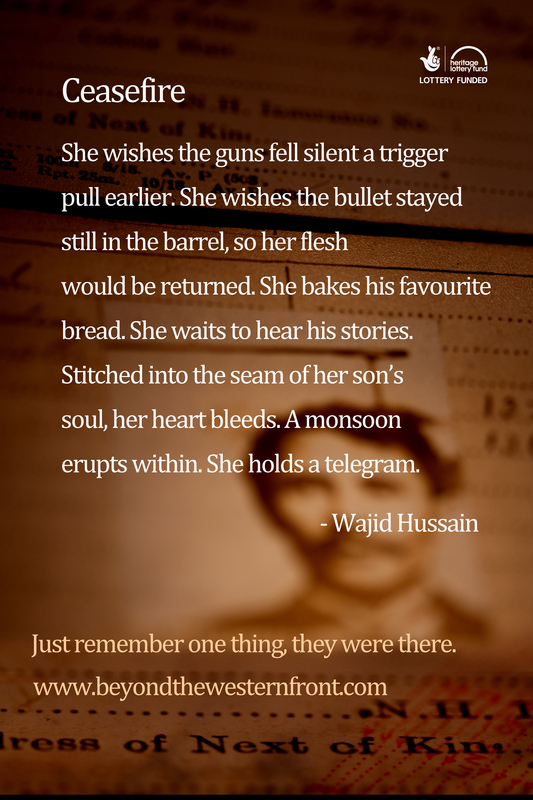 Even though we knew he lived and served during the war effort, having photographic evidence makes these facts all the more real. Naggi became our poster man in a way as we used his image throughout our Tyne and Wear Metro campaign during the summer of 2016 as well as featuring him in our final exhibition at the City Library in December 2016. 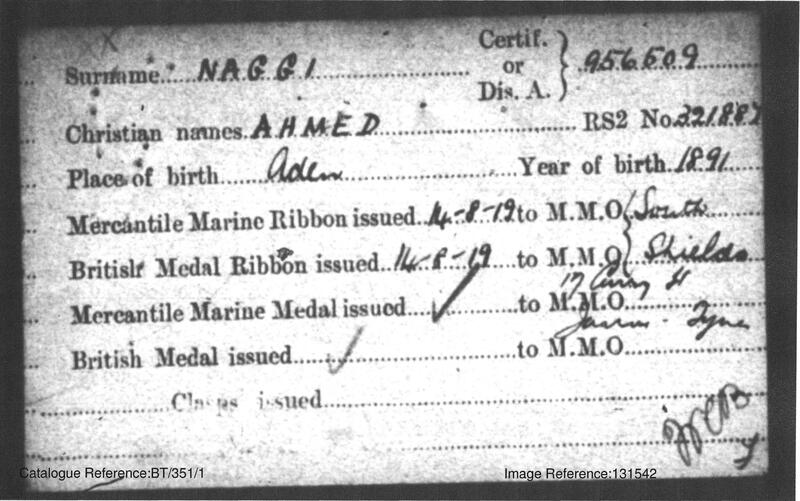 Born in Aden in 1891, Naggi received his Mercantile Marine Ribbon and Award after the war. Both being sent to South Shields where he must have returned to live.